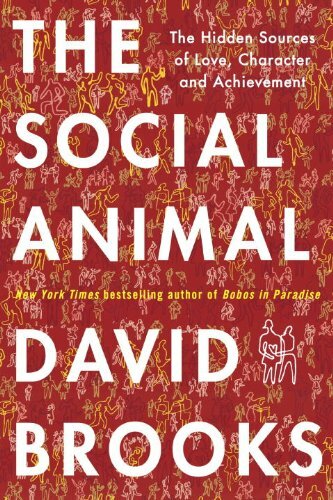 The Social Animal: The Hidden Sources of Love, Character, and Achievement By David Brooks, New York: Random House, 2011. xviii, 424 pp. David Brooks is an op-ed columnist for The New York Times, and is the author of two other books. Amidst a growing volume of books on the brain, based on research both in psychology and brain science, David Brooks has taken a different approach. He builds the story of two people, one (Harold) from an upwardly mobile family, and one (Erica) from a single parent home in an impoverished part of town, and follows their paths from birth through meeting, marriage, careers, and ultimately death. He creates a “high level” story of their lives, and supplements this story with research from psychology and brain science to explain their actions and reactions as they confront issues throughout their lives. Business, career, and personal decisions all get “explained” through how the mind has taken in and responded to the situations it confronts. A major theme of the book is that most of us think of ourselves as rational people. We wonder about others who don’t see things the way we do. This was the theme of the French Enlightenment. But as Brooks points out, “The British Enlightenment stressed that people are born with a social sense, which plays out beneath the level of awareness,” p. 234. The mind seems to interact with that social sense in a way that looks different from our notion or rationality, and in this sense we are seen as social animals. It is the British Enlightenment that better aligns with modern research on the mind. There is a great deal to like about this book. Anyone familiar with David Brooks, a conservative columnist from an otherwise more liberal newspaper, knows that he is a talented and often witty writer, and this book shows off these capabilities. When the story, or the explanations, get a bit tedious (and they do in a few places), it is easy to simply skim ahead and pick up the account. I found the storyline on Harold and Erica a bit weak; it was obviously a simple frame through which the author could discuss the research results from psychology and brain science. I also wondered in several places whether Brooks had the qualifications to apply the research in the ways that he did. I feel more comfortable and confident learning about such things from an expert, such as John Medina in Brain Rules. These reservations aside, this is a delightful read, with a great deal of insight. Business leaders, after reading this book, will never see their staff or their customers the same way again. I recommend it. 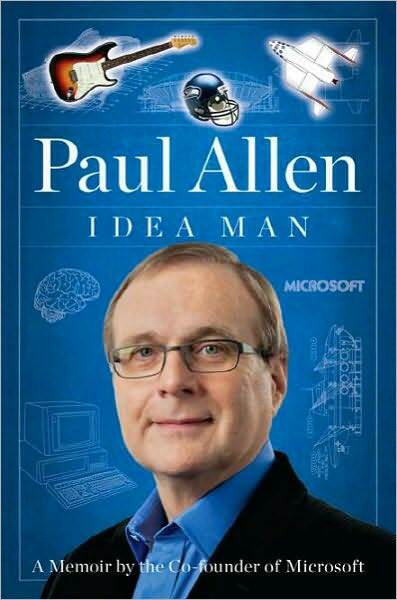 Idea Man: A Memoir by the Cofounder of Microsoft By Paul Allen, New York: The Penguin Group, 2011.viii, 337 pp. Paul Allen was the cofounder of Microsoft, a high school friend and colleague of the other cofounder, Bill Gates. He is founder of Vulcan Inc. and the owner of several professional sports teams. The first 190 pages of this book chronicle the early days when Bill Gates and Paul Allen began to work together while in high school at Lakeside in Seattle, through the ideas for Microsoft and its eventual founding, leading to the time when Paul Allen eventually left Microsoft. This is a remarkable story from Allen’s perspective, identifying key choices that were made in the growth and development of one of the world’s most recognized brands. This part of the book is insightful on many levels. 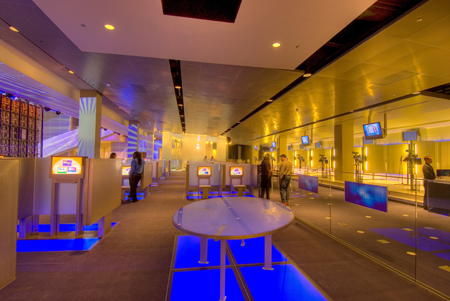 For those of us who have been in computing since the 1970s, it is a fun trip down memory lane, featuring early computers, timesharing, the emergence of the PC, and the high risk adventure of a startup. Coding all night is a part of the adventure, and if you have done it, you know the exhilaration that comes from getting it done in spite of the odds. At another level, it is very interesting to see how the story plays out from Allen’s point of view compared with Bill Gates’ version of this story. Allen saw himself as the “idea man” in the partnership. “I was the idea man, the one who’d conceive of things out of whole cloth. Bill listened and challenged me, and then homed in on my best ideas to help make them a reality,” p. 4. Later, he says, “I missed Bill’s laser focus on competition in the marketplace and his ability to execute my ideas and keep me from getting too far ahead of what was doable … I discovered how challenging it was to operate without a pragmatic partner and business maven,” p. 190. Bill Gates, in The Road Ahead (1995), said, “Paul had lots of answers to things I was curious about … I was more of a math person than Paul, and I understood software better than anyone he knew. We were interactive resources for each other. We asked or answered questions, drew diagrams, or brought each other’s attention to related information. We liked to challenge and test each other,” p. 192. My reading of the two is that Gates saw the relationship as an exchange between equals, and Allen saw that he was the idea person and Bill carried out his vision in a support role. It’s no wonder the two had a falling out. Allen made numerous critical comments about Microsoft including its size, slowness, and lack of vision. He concludes that it might have been different if the “idea man” had remained a part of the company, saying “Neither of us have been quite as good alone as we were together,” p. 190. Apparently unknowingly, he has made the case for the disappointing performance of his later businesses that never seemed to make it in the marketplace. The latter part of the book takes a very different flavor, looking chapter by chapter at his various ventures. 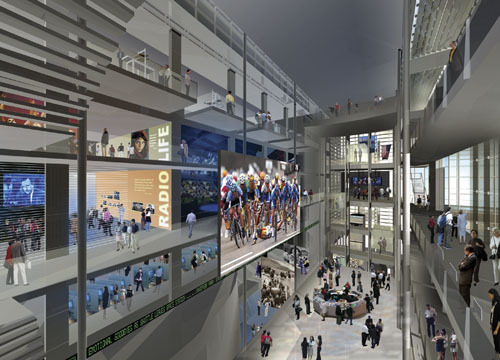 Much of it seems hobby oriented, including his adventure travels, his rock music museum, his yacht Octopus (414 feet long with a crew of 50), and a failed cable company Charter. He describes a life of self-absorption apparently still trying to prove he is as good as Bill Gates. He made no comment on the Bill and Melinda Gates Foundation and its outward focus for the benefit of others. I found the second part of the book to be far less interesting than the first. Paul Allen is an icon in the computing world. His work has made a huge impact, but his story has sad overtones. I felt it was worth the read, but I would not say it is for everyone.